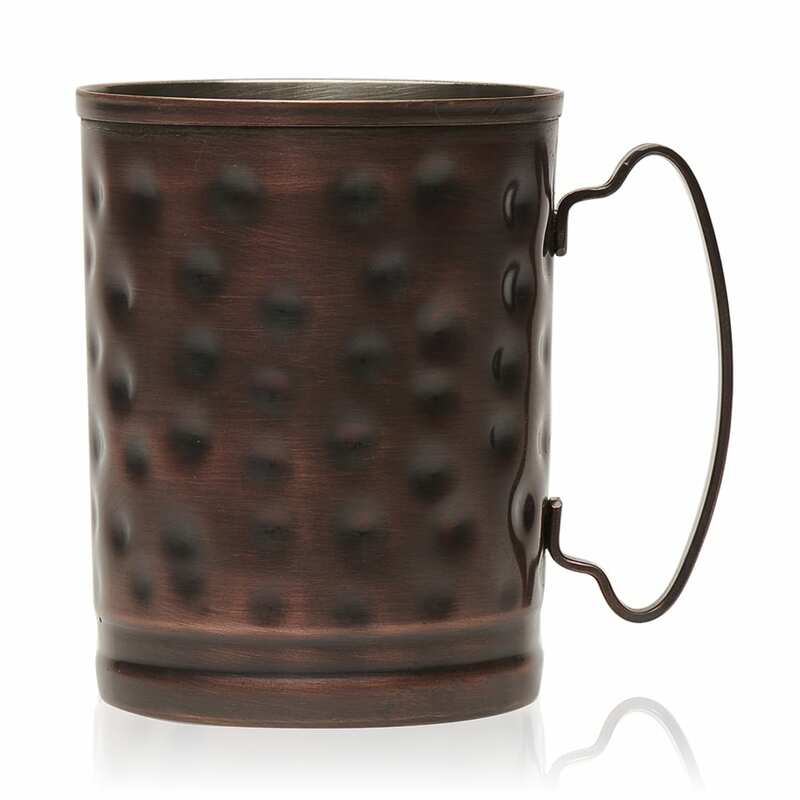 The World Tableware MM-200 Moscow mule mug is great for the traditional drink and other cocktails. 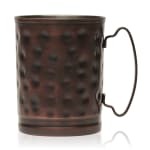 It has a stainless steel base with an antiqued copper finish, and the hammered design hides scratches and dents while providing a rustic appearance. It is a 14-ounce cup. More information on bar equipment can be found in the bar supplies article. "Son had to have one after seeing it in a restaurant. As the come by the dozen, everybody in the family got some for Christmas."